Hi friends! Have you started your holiday cards yet? Better get going if not...it'll be here before you know it! 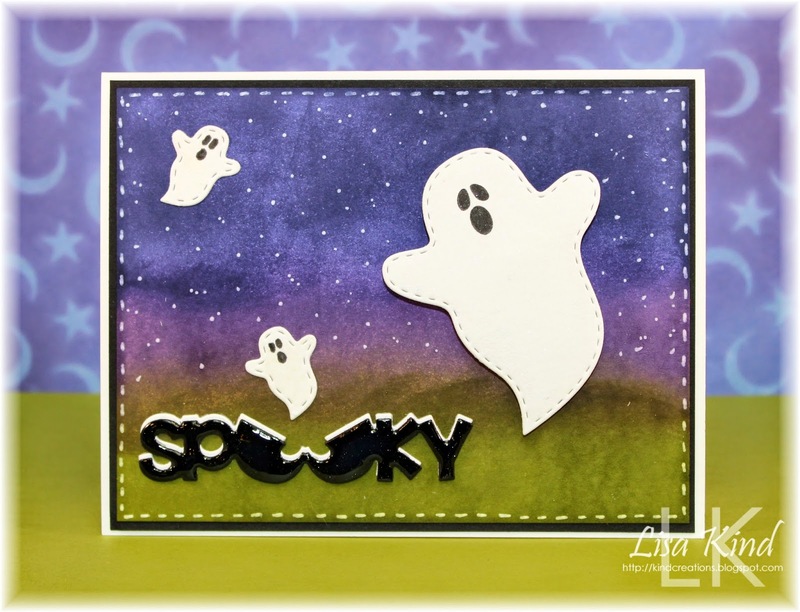 The Christmas Card Challenge blog has an Anything Goes challenge this week, so you can create any holiday card you'd like. I pulled out some new products to use on my card this week. I first die cut the white piece and adhered it to a light blue piece of cardstock. The poinsettia is a three-step stamp. The sentiment was die cut from white and green cardstock. For the middle of the poinsettia, I made my own gold paper by putting some Versamark on some scrap paper then embossing it with gold ep. I added some Wink of Stella shimmer on the flower. 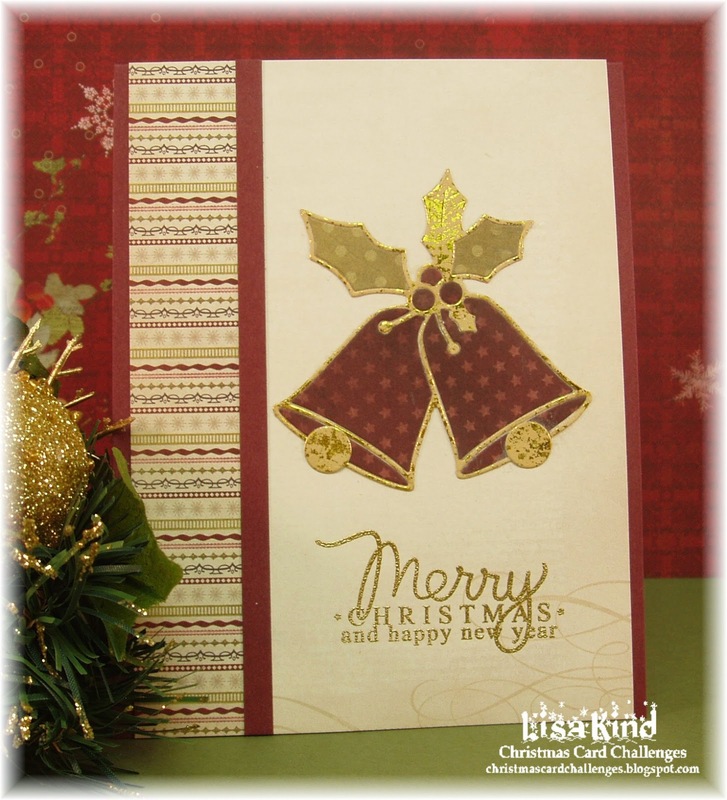 You can see more inspiration from the DT on the Christmas Card Challenge blog. Hi everyone! 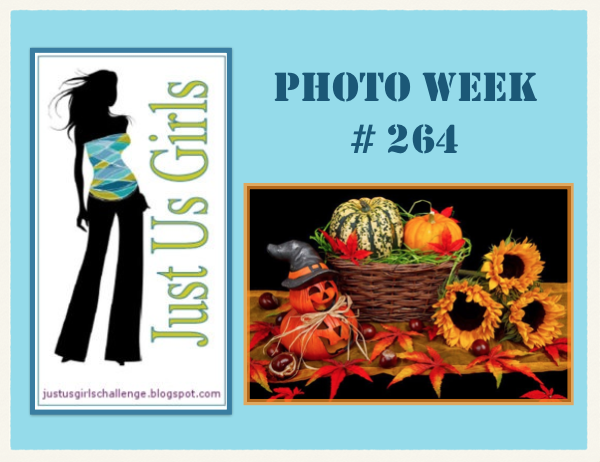 I'm a little late getting my post up this morning for the Just Us Girls challenge. Maria chose this fabulous picture for our photo challenge. I've had this stamp for about two years and it's never seen ink. 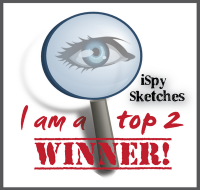 I saw it at my LSS when I was there with my friend and fellow JUGs teammate Cheryl. It's from Northwoods and they have the most amazing boards to show the use of the stamps. They are so bright and glittery and we just can't figure out how they get them that way! I don't know if I've done it justice, but I was pressed for time! I colored the pumpkin with copics and added some Wink of Stella shimmer over the top. I cut it out and mounted it on an angled piece of gray cardstock. I stamped the sentiment in Versamark and heat embossed it with white powder. Then I mounted the main piece on top with dimensional tape. The black piece looked bare, so I added the stitching and the enamel dots. You can see more from the JUGs DT on the blogs below. We'd also like to thank Wanda Cullen for being a great guest this week! Hi friends! The Christmas Card Challenge has a great photo inspiration for you this week! 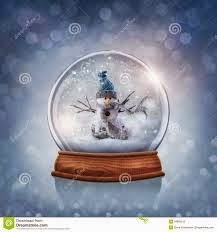 Just take a look at this great snowman snow globe! I love them! I also just love the background of this photo...my inspiration! Hi everyone! 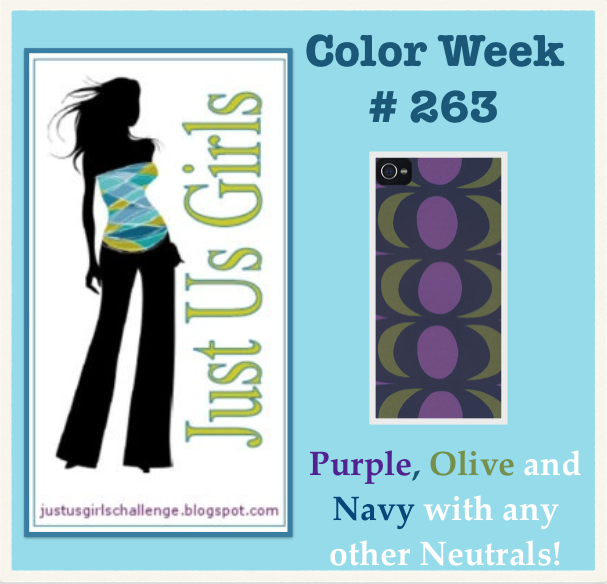 I'm the hostess this week over at Just Us Girls and I've got an interesting color combo for our Color Week. I hope you like it! I've been enamored with Kristina Werner's colorful backgrounds lately. (You'll see another one tomorrow!) I used distress inks and a blender tool to achieve the background. I then die cut the ghosts. The large one is on a wobble, and they are covered with Wink of Stella shimmer. I die cut the word from black and white card stock and stacked them. The black alone got lost on the dark background, so I add the white behind it and it solved the problem. I then added some Wink of Stella shimmer on it and topped it off with Glossy Accents. A white gel pen created the stars (too many I think!). Since the ghosts had stitched edges, I added the white stitching around the perimeter of the scene. 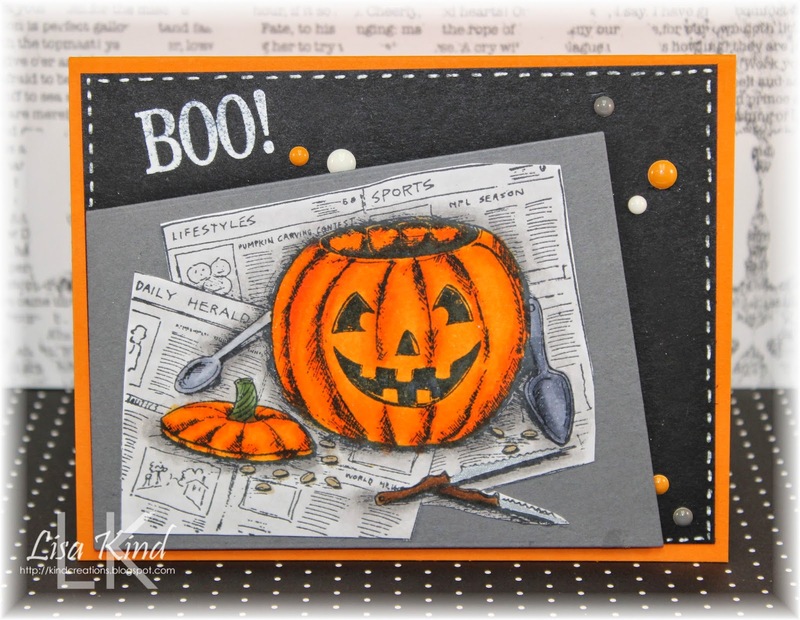 You can see more on these blogs from our DT and our October guest designer. Hi everyone! It's time for another Christmas Card Challenge. 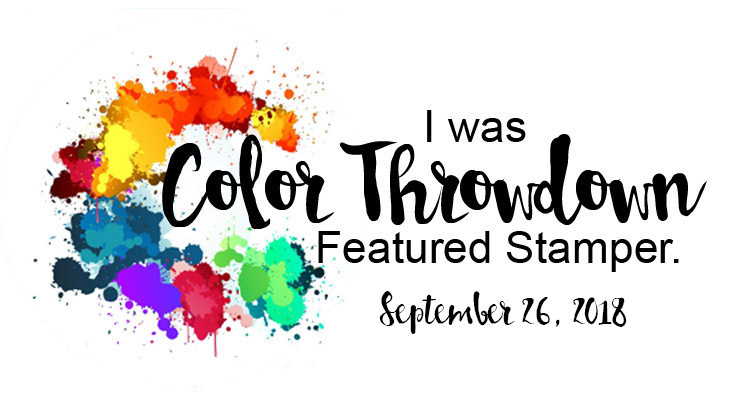 This week, we have a color challenge. 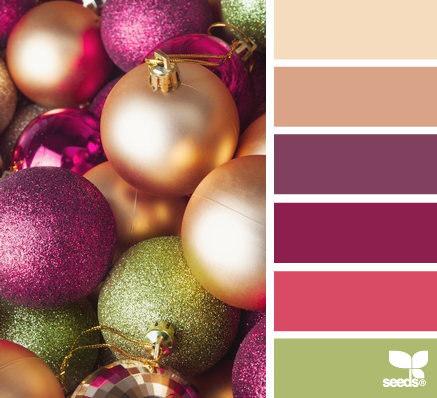 Look at these lovely rich colors! I went a little more burgundy than I was supposed to. The colors looked different on my iPad, but I did get the green and gold in there. I have been wanting to find the right time to use this new bell die I got and this was it. I die cut it from the gold paper, the burgundy dp and the green dp then put it all together. The sentiment was embossed with gold paper. 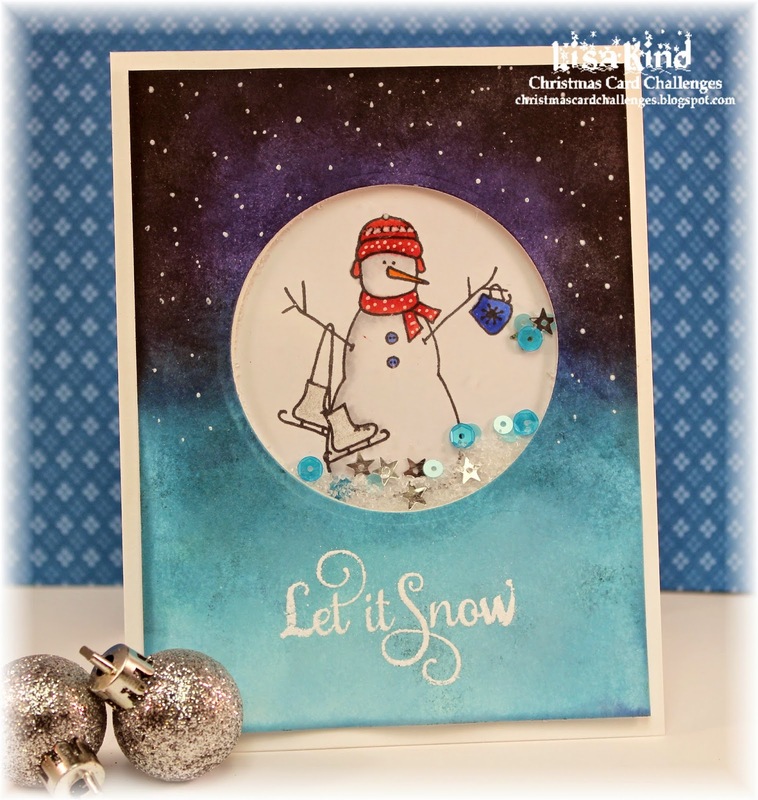 You can see more on the Christmas Card Challenge blog. The DT has some great inspiration for you. 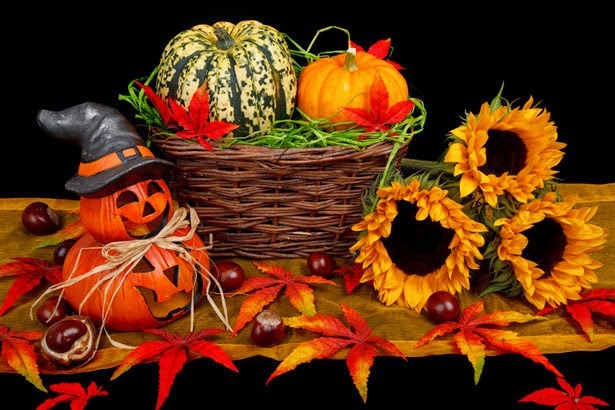 Happy Columbus Day weekend! 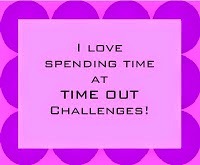 I have Monday off and I'm planning on going to a craft show at Letchworth State Park here in NY state. They have a really great one all weekend, and I like going on Monday because it's not as crowded. I'm going to take my niece, Maria, with me too so it will be a nice day. 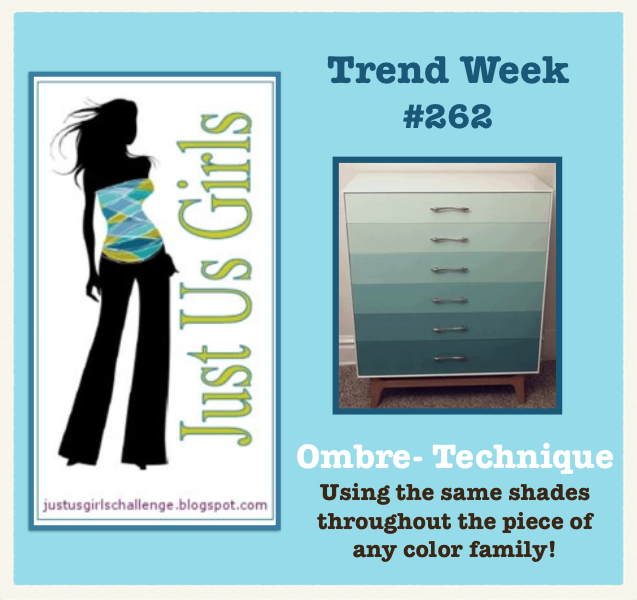 So this week is Trend Week over at Just Us Girls and Sue T. chose the ombre technique. Love this one! On a sad note, Sue T. is stepping down as a designer at JUGs. We will certainly miss her, but understand life comes first! Best wishes to you my friend! I used Gelatos on a piece of watercolor paper in blue, green, and lime green. Then I added water. The blue and the green look splotchy. I don't know why because I used the smooth side of the paper. Oh well, I think it looks cool. Then I die cut it with the plate. To keep the same texture of the paper, I die cue just the rectangle once again from the watercolor paper and stamped the sentiment. I colored it with lime green and blue copic markers and added enamel dots. The die cut was adhered to a piece of pattern paper. Christmas Card Challenge #45 - Layer It Up! Happy Sunday! I have another Christmas card to share for the Christmas Card Challenge. This week we are layering it up! 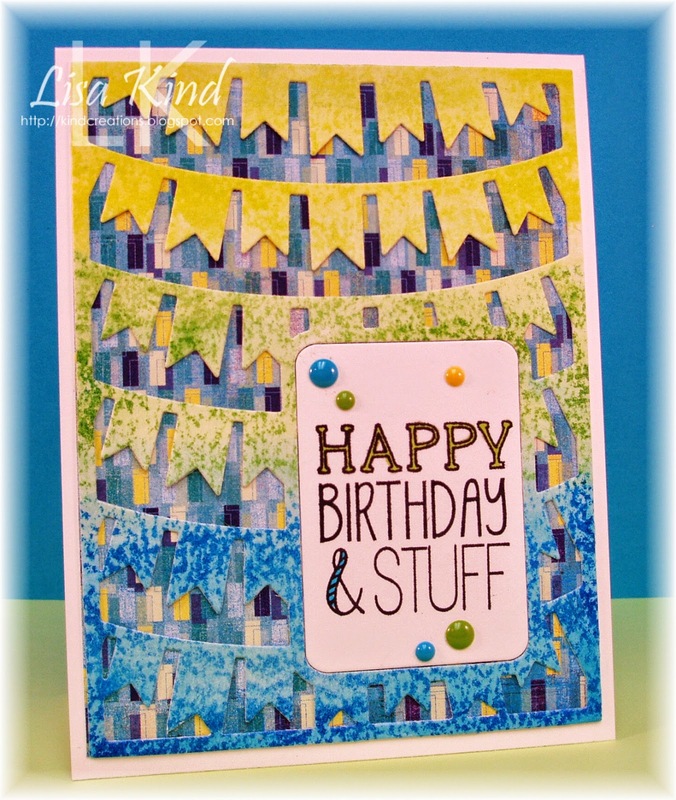 We want you to make a card with lots of dimension/layers. Here's mine. I started with this great new stamp set from PTI. The tree is actually three different layers. The base, the pines, and then the stars. Then I layered two different pattern papers together and the Christmas die cut on top of that. Banners were added and a button on top of that. 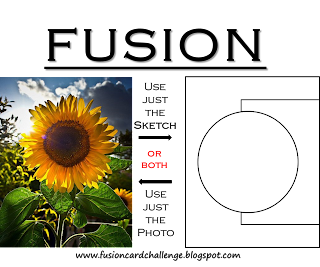 Is that enough layers/dimension for ya? 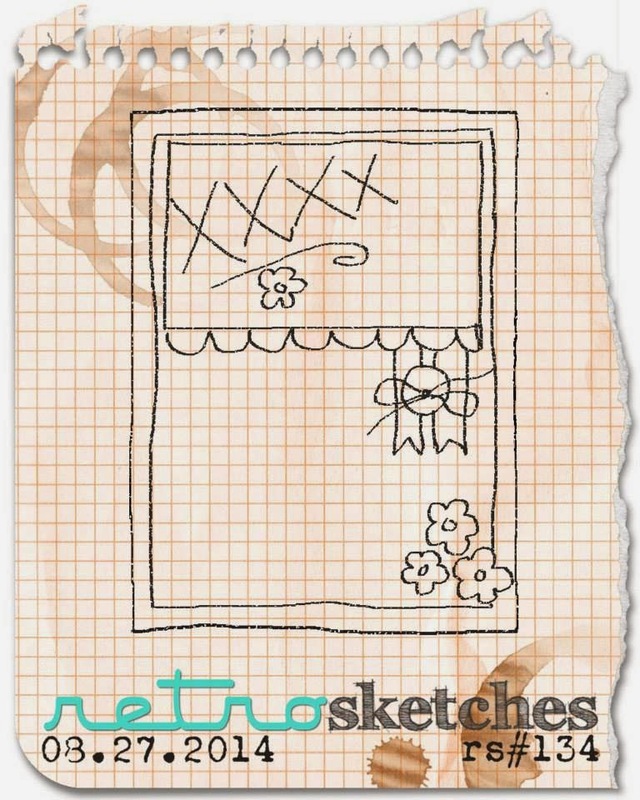 I used the sketch from Retro Sketches. 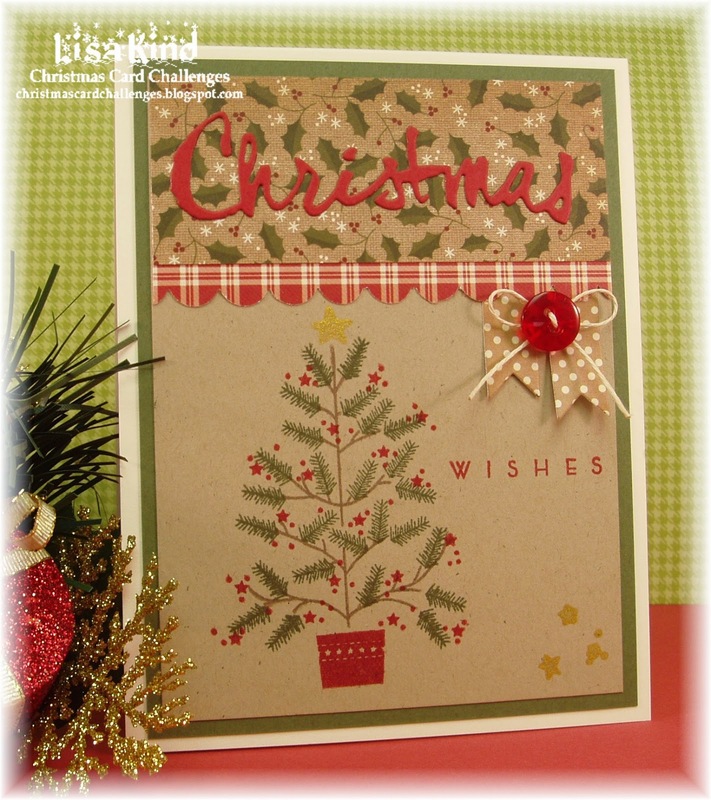 You can see more from the designers on the Christmas Card Challenge blog. Hello! 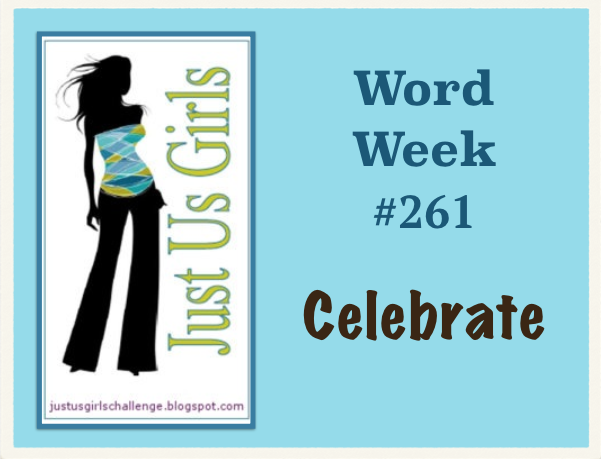 This week is Word Week over at Just Us Girls, and the word is Celebrate. It's an appropriate word also because we have something to celebrate over at JUGs. We have two new designers joining us! Please welcome Chris Dring and Ina Grehan to the team! Now on to the card! I just purchased this cover plate die from Taylored Expressions and thought it would be a good one to use for the celebrate word. 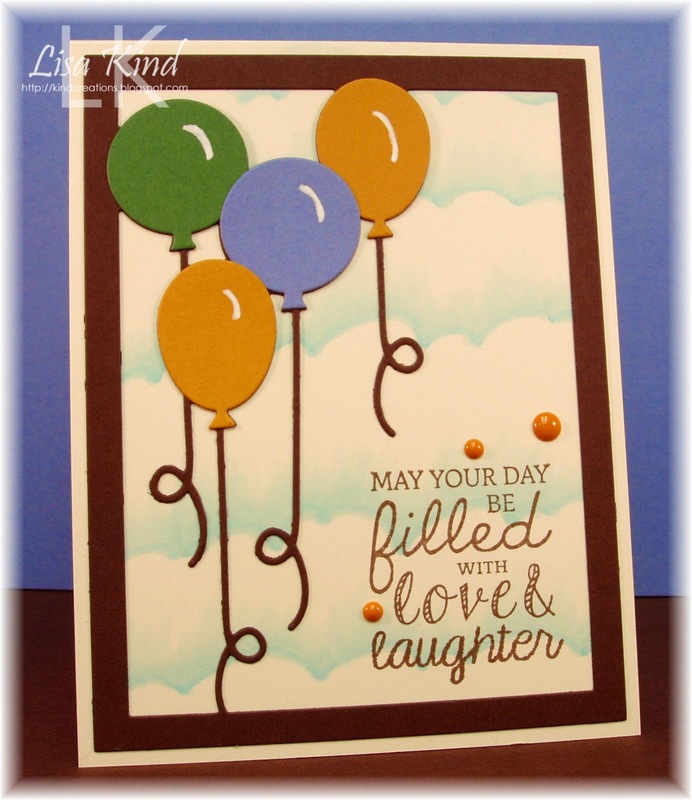 It's a really cool die because the frame, balloons and strings are all attached. You get two single balloons also, which is what I used for the mustard, blue and green balloons. The background is something new I learned from the current Online Card Classes. It's done with copic markers and was super easy to create. 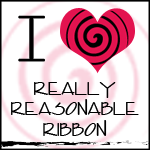 I felt the sentiment could be used for a birthday or any special day. I chose my colors from the Fusion Challenge. Please stop by these blogs to see more inspiration. We also have a new Guest Designer this month!